Our shop redesign for the holidays has evolved into my favorite event of the year - our spectacular Holiday Open House. After closing the store for several days to transform the shop, we reopen to reveal our newest holiday decor, with extended hours for 3 days. I remember 15 years ago, planning when we would begin holiday decorating. What started as a one-day event around Thanksgiving, has grown into 3 days of festivities in mid November. 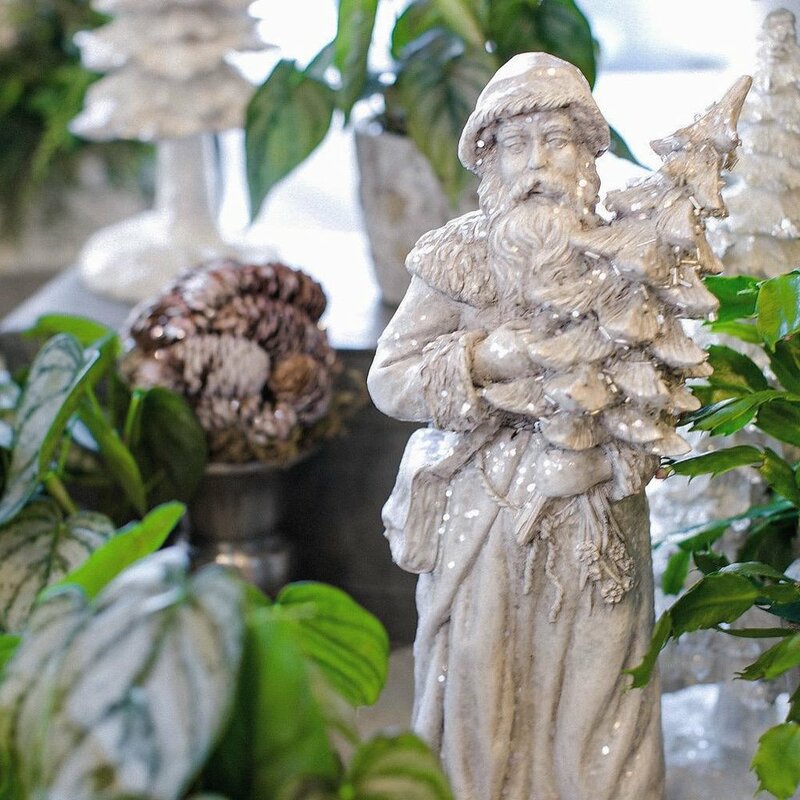 The earlier date leaves plenty of time to browse and start thinking about your holiday decor while enjoying our designers’ newest creations. Expect to see custom wreaths on display, adorned with luxurious ribbons from France; fresh mixed garland; seasonal plantings; gilded and glittered ornaments; illuminated trees and so much more. Whether you stop by to enjoy sips and snacks and take in the flora and sparkle throughout the store or get a headstart on holiday planning by ordering ahead, the Holiday Open House is not to be missed!